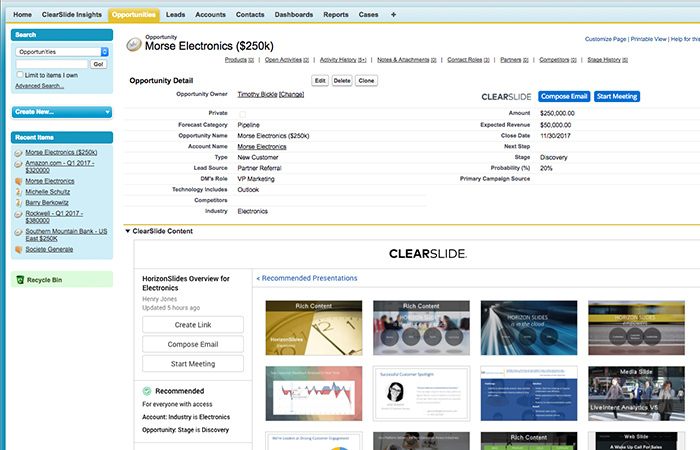 ClearSlide for Salesforce delivers the full ClearSlide platform at your fingertips. 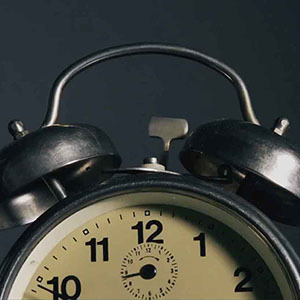 Real-time buyer engagement provides actionable insights for forecasting and coaching. 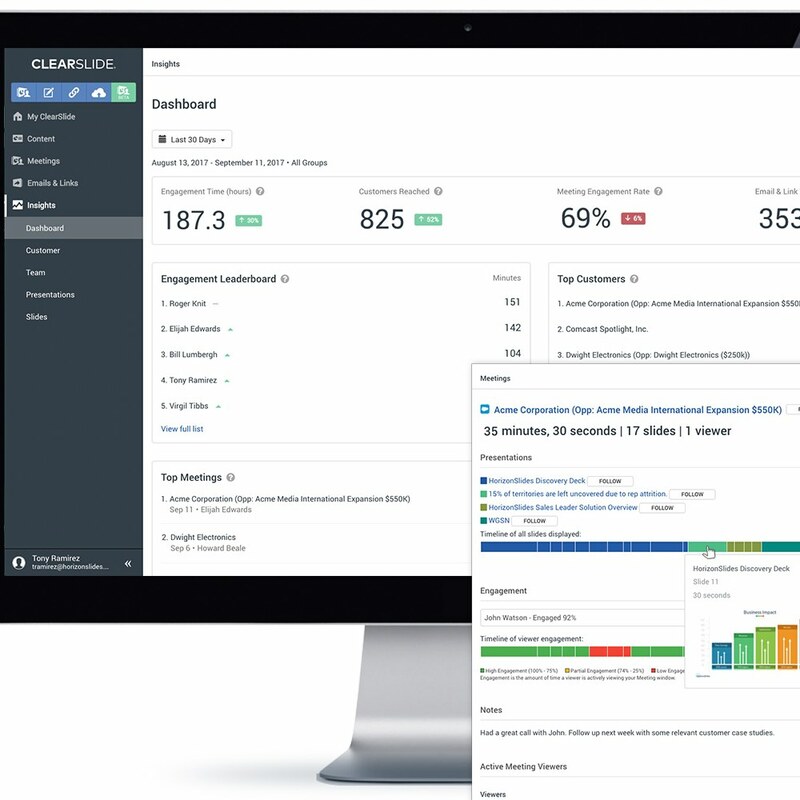 The integration pushes Salesforce data to ClearSlide and automatically logs ClearSlide activity and customer engagement data in Salesforce, improving data quality. ClearSlide for Salesforce is Lightning ready and is the leading AppExchange app for content, communications, guided selling, and engagement insights. 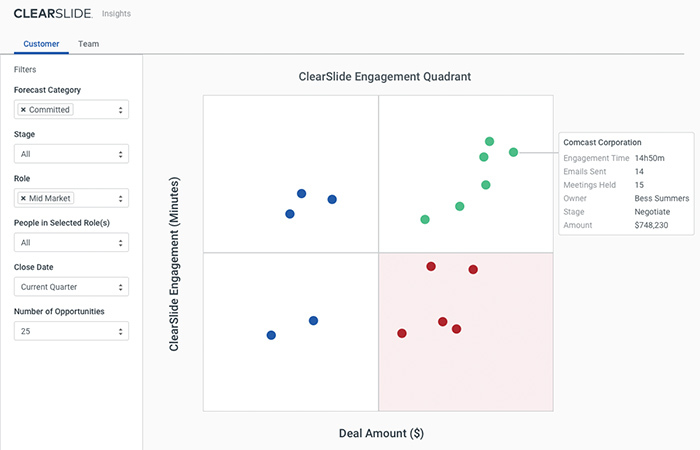 Identify at-risk opportunities based on real-time engagement data with Engagement Quadrant Dashboards. Drill into activity and engagement details to determine likelihood of close and where to focus resources. 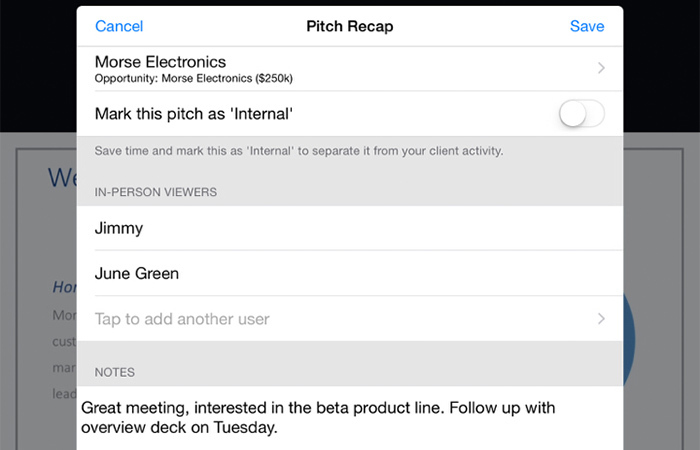 Use Team and Individual Insights to measure your team’s engagement and set benchmarks. 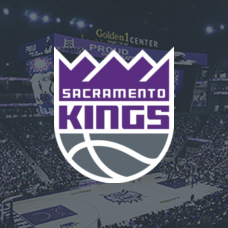 Compare performance across teams and track individual reps to deliver metrics-based coaching. Leverage the content recommendation engine to map content to any Salesforce field (sales stage, role, industry, or custom fields). Reps can easily find and use recommended content on account, opportunity, contact and lead records, or access their full ClearSlide sales content library. Use ClearSlide data to create custom lead views for targeted follow-up based on prior engagement. Send email blasts to filtered lists of leads, contacts, accounts, or opportunities using approved email templates and content. Or instantly engage in online meetings with easy access to recommended content. Activities, content, viewer engagement in email or meetings, and custom fields are automatically logged to contact, lead, opportunity, account, or case objects in Salesforce. With ClearSlide’s award-winning mobile apps, field reps have access to recommended and approved content on-to-go. 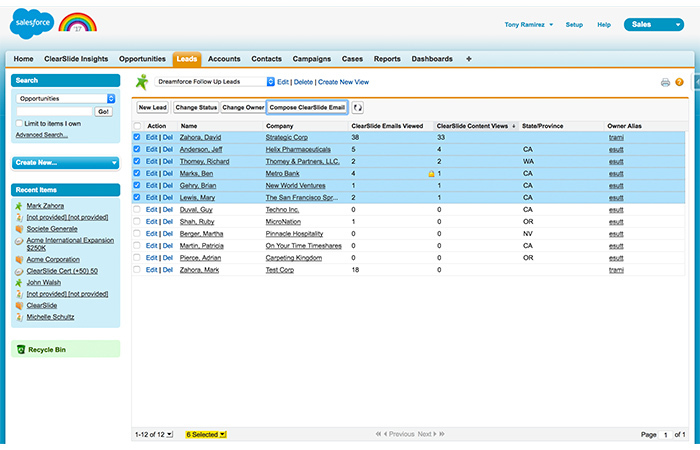 Automatically log activity and engagement data to Salesforce, improving data quality and presenting a complete picture of activities, content, and customer engagement – even for on-the-go field sales teams.